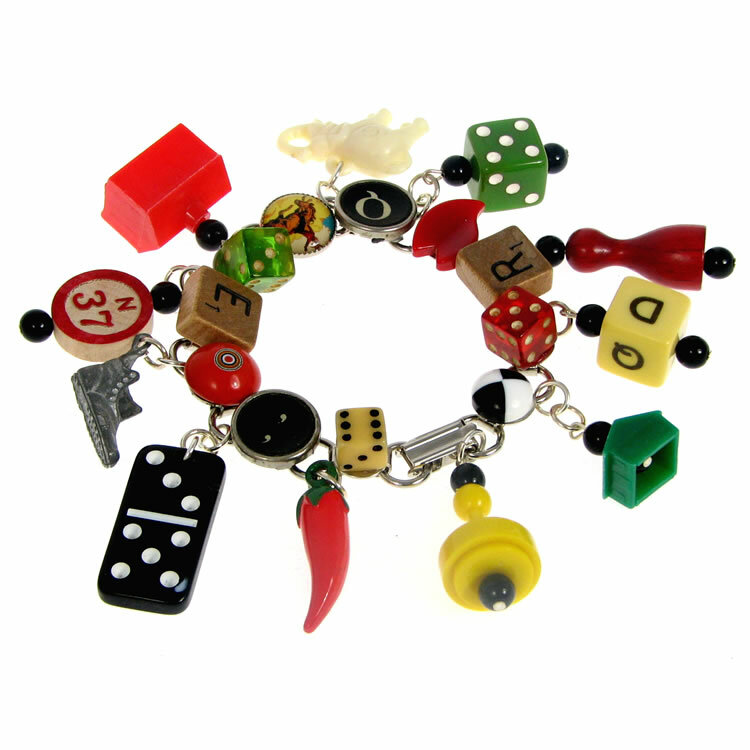 Using antique typewriter keys, scrabble tiles, vintage beads, Bakelite dice and game pieces, Connecticut jewelry designers Wendy Walden and Betsy Gribble have created this forever young charm bracelet for their company, Investment Design. "Everything old is new again!" say the designers -- what a great message for a milestone birthday.